We, the cartoneros and carreros families who work everyday in the city of La Plata went once again to the streets to demand recognition for our work. 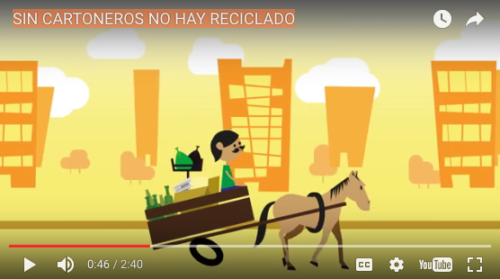 The municipality, the police and the environmentalists don’t want to see that behind the horse and cart they want to eradicate there is a family making a living from recycling. The privatization of the waste collection service deprives us of the recyclables we find in the streets. Our situation is critical. We are all impacted, having to sell a kilogram of cardboard for $1. In addition, the company is taking all of our recyclable materials, harassing us, and preventing us from earning a living. In the presence of these threats we organized into the Argentine Federation of Waste Pickers (FACyR, for its Spanish acronym). Read the full article and watch the video (in Spanish).